At Disc2Day we take pride in offering our corporate clients quality commercial printing services on time and within your budget. Whether you need full color brochures, 2-8 panel jewel case inserts and tray cards, presentation folders and flyers, business cards, DVD case wraps, full-color cardboard sleeves, bi-fold sleeve or tri-fold sleeves, book printing, post cards or direct mail advertising, you can count on Disc2Day to guide you through the complex world of commercial printing, graphic design, and CD & DVD direct mail projects. 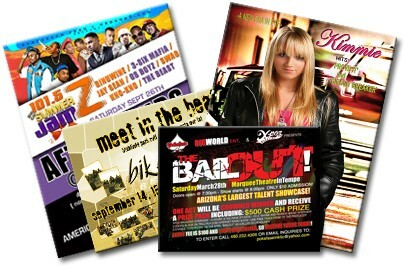 Our high quality printing and graphic design is great for music promotion. We look forward to helping you with your commercial printing needs!